Two classic Merle Haggard albums for the price of one is the only way you can get your hands on Strangers/Swinging Doors and The Bottle Let Me Down, the stone classic among the many, many classics in “The Hag's” discography. If “telling it like it is” is an art (and it is), then The Hag is Michelangelo. Kris Kristofferson, the grizzled troubadour and elder statesman of country music, has emerged with his first album in four years – the third of his collaborations with producer Don Was. The highlight of Feeling Mortal might be a heart wrenching old song Kristofferson co-wrote with the beloved late poet and writer Shel Silverstein (the genius behind “A Boy Named Sue”). 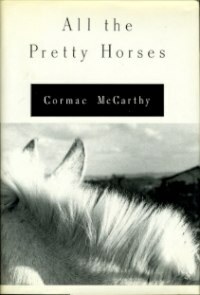 Everyone needs to dance with Cormac McCarthy at least once. His books are the ones that stay with you long after you’ve put them down. Mortality, violence, love and loss, all dealt to the reader in full weight and stark beauty. McCarthy’s Hemingway-esque style of writing admittedly can take a chapter or two to get used to, but it is well worth the adjustment period. McCarthy brings rich reward to the patient reader. Slow down. Savor the journey. You will be grateful for it. 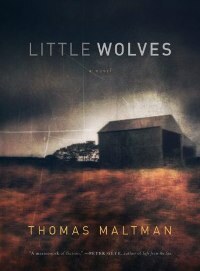 Already receiving advance rave reviews and hailed as one of Amazon’s “Best Books of The Month,” Thomas Maltman’s Little Wolves is an intriguing thriller set in the 1980s on the stark Minnesota prairie, combining gripping murder mystery with Norse mythology, complete with mysterious strangers and the supernatural. If that doesn’t sound like a page-turner, check your pulse. 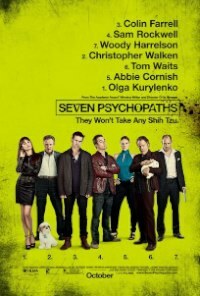 Playwright-turned-director Martin McDonough, along with the brilliant Colin Farrell and Brendan Gleeson, manage to bring comedy, gravitas, pathos and slapstick into one single, artfully conceived movie to create everyone's favorite sleeper hit of 2008. 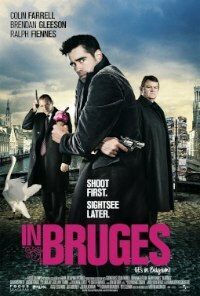 In Bruges is everything you want from a movie…and nothing you expect. This one’s a keeper. Sam Rockwell is a guaranteed good time, movie-wise. Add Christopher Walken, Colin Farrell and Woody Harrelson into the mix, and I smell popcorn. Oh and did I mention Harry Dean Stanton and Tom Waits? Bust out the beanbag chairs – it's movie night. And the bonus: This psycho-comedy-fever dream is clever and funny…a rare beast indeed.